He can stand so tall now! Sam LOVES the Christmas tree in our living room and all of the presents underneath it. 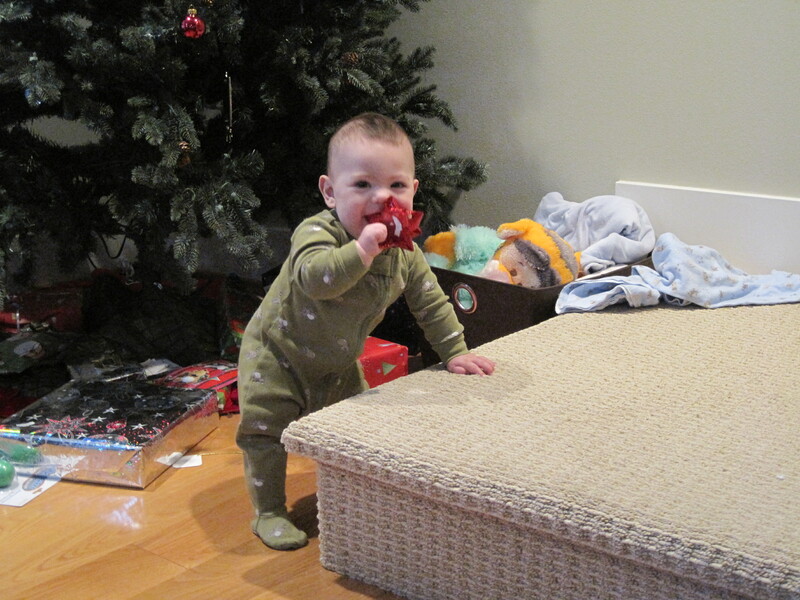 We may have trouble deciphering who the presents go to on Christmas morning because he enjoys tearing off the tags! You guys rock with your frequent updates. Sam is so amazing! look at him standing there like an elf! Sam, you’re a sweetie! And thank your mama for all the cute pics.